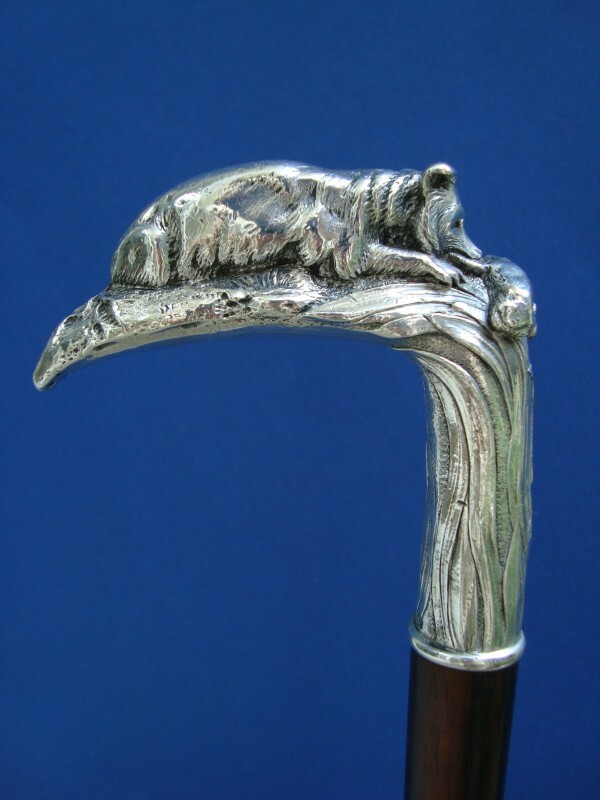 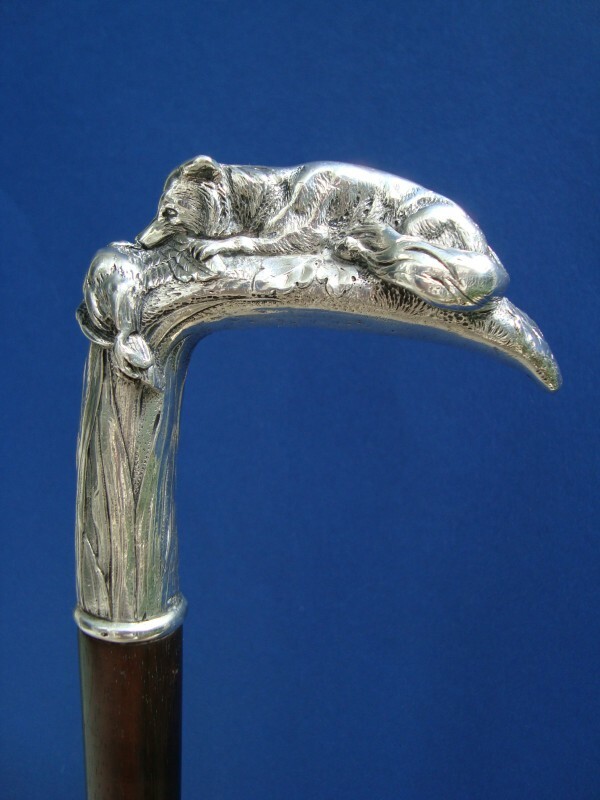 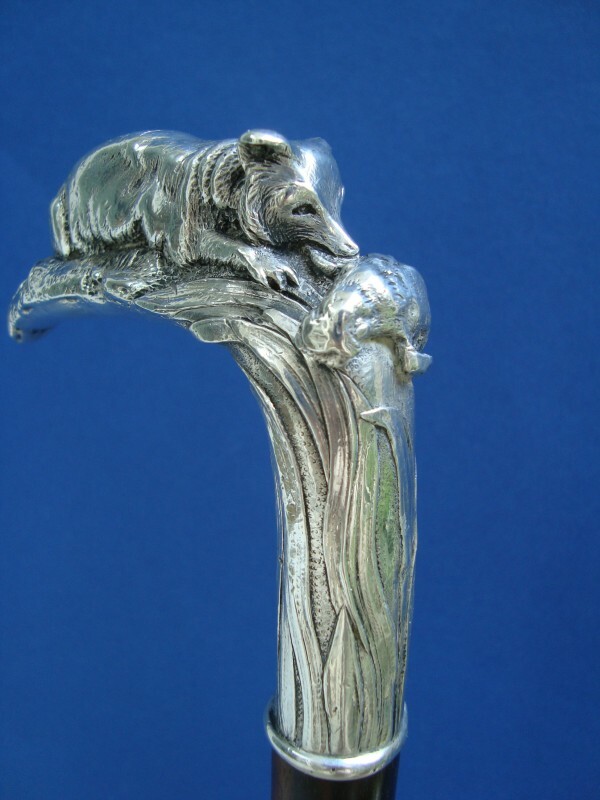 Walking cane with a curved silver handle Germany late 19th century, On the handle on oak leaves recumbent a pheasent and a fox who catches a wing of the pheasant with its mouth and one paw. 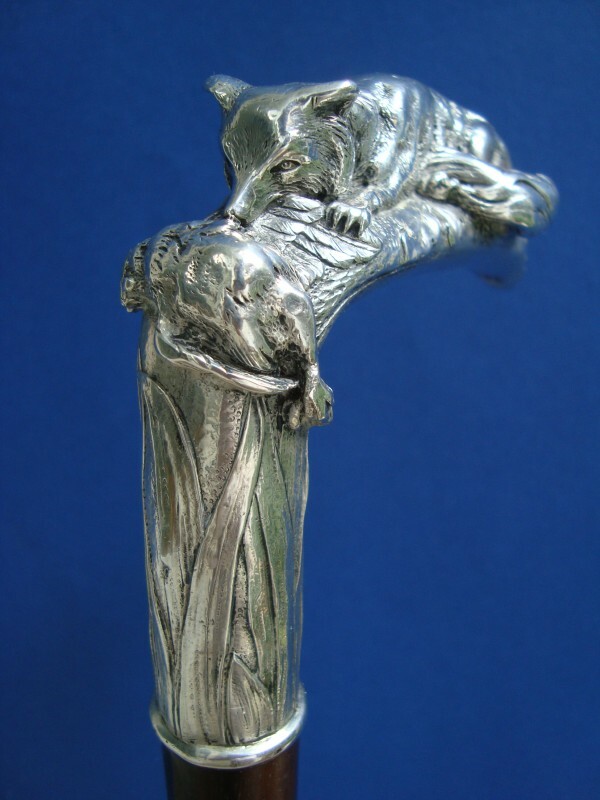 Silver hallmark 800. 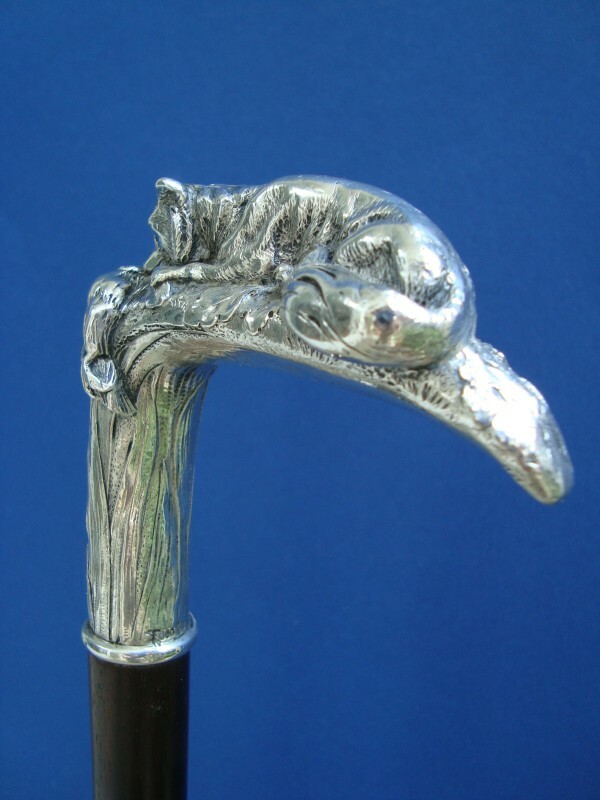 The handle is fitted on an ebony shaft with a horn ferrule. 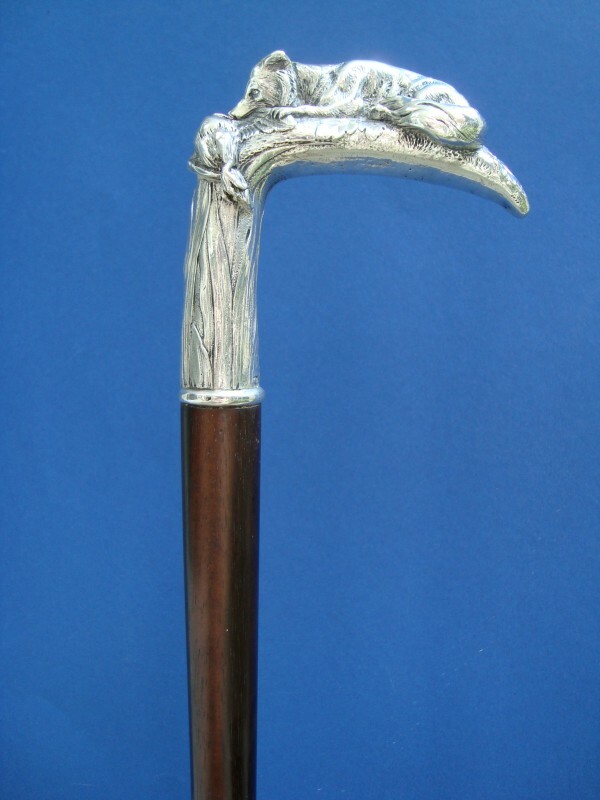 Measures of the handle: W. 9 cm, 3,5", H. 8,5 cm, 3,3", overall length 83 cm, 32,7".